PRODUCTION TECHNIQUES: Harvest in the second decade of September, vinification with 2 daily pumpings over at a controlled temperature of 28°C and maceration on the skins for approx. 2 weeks. After racking and subsequent malolactic fermentation, the wine is kept on the lees for 1-2 months. Bottling 24 months after harvesting. The wine is put on the market 3 months after maturing in the bottle. BOUQUET: Intense, spicy and in excellent harmony with red fruits. 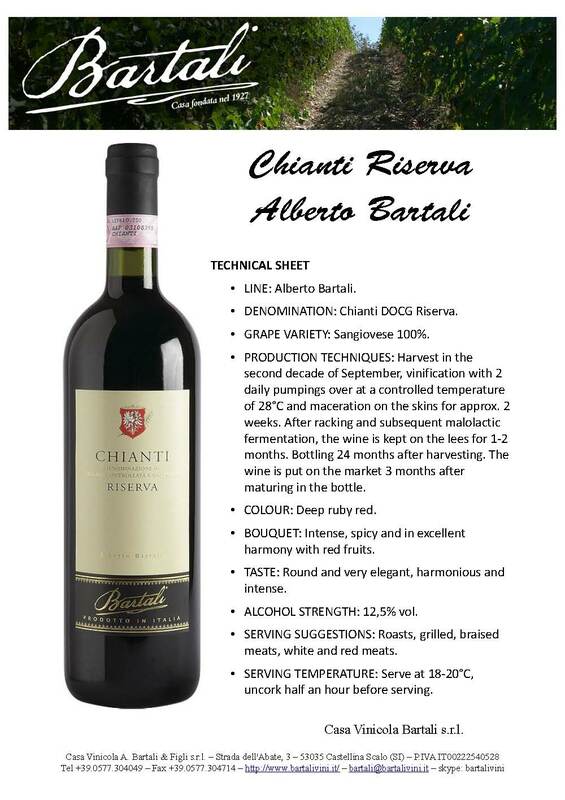 TASTE: Round and very elegant, harmonious and intense. SERVING SUGGESTIONS: Roasts, grilled, braised meats, white and red meats.